The Homicide Squad reports the details of a fatal auto accident which occurred on Thursday, October 01, 2015 at 12:36 A.M. in Carle Place. Carle Place, NY - October 1st, 2015 - The Homicide Squad reports the details of a fatal auto accident which occurred on Thursday, October 01, 2015 at 12:36 A.M. in Carle Place. According to detectives, Melissa A. McKiski, 22, of Cerromar Circle S., Venice, Florida struck a bicyclist while driving westbound on Old Country Road. The bicyclist was traveling eastbound in the westbound curb lane when he was struck. McKiski left the scene and was apprehended at Herricks Road and Helen Road in Mineola. The victim, Charles Velasquez, 22, of Bellerose Queens, was taken to Winthrop University Hospital where he was pronounced deceased at 4:32 A.M. by hospital staff. McKiski is charged with Vehicular Manslaughter 2nd degree, Driving While Intoxicated and Leaving the Scene of a Fatality. She is scheduled to be arraigned on Thursday, October 01, 2015 at First District Court in Hempstead. 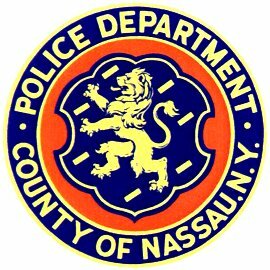 Subject: LongIsland.com - Your Name sent you Article details of "Floridian Woman Arrested for Vehicular Manslaughter after Fatal Hit & Run Accident in Carle Place"